Did all the David Barton gyms close? 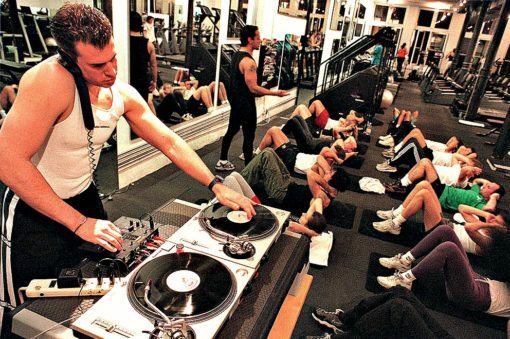 Unfortunately yes, the popular gym has closed all their locations in New York City. That was quick. I had visited three of the locations (Astor Place, Limelight, Christopher St.) in the past two weeks with no indication that any of them were shutting down. The gym was a famous, popular (and expensive) fitness option because od the large club-like atmosphere, in-house Djs, modern touches and unique-architecture of the buildings they inhabited. Apparently all those things got too expensive for David Barton to maintain. It came as a surprise to many because as the gym was very popular. Despite how well it seemed like it was doing and well-receieved it was in the city, one never knows how the business is being run behind-the-scenes. This David Barton Gym has ceased operations due to competitive market conditions. If you are a client, you may have already received an email message from the company. We greatly appreciate your past patronage and deeply regret we can no longer continue to serve you. So it’s just not NYC locations but all locations including the Boston, Miami and Chicago franchises. 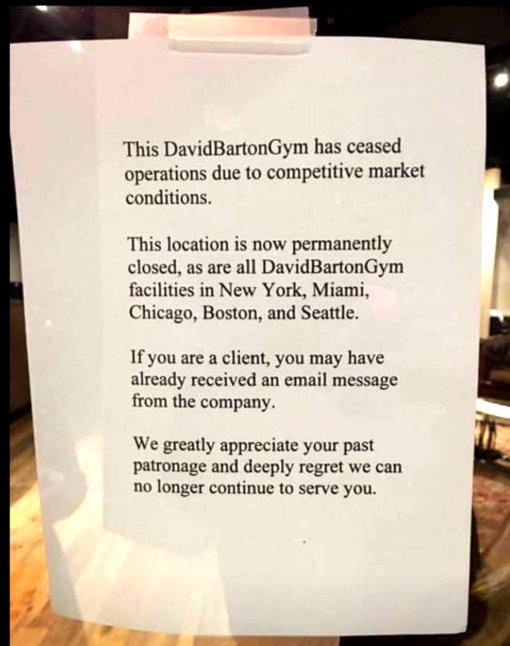 The unconfirmed news is that David Barton himself has had a long conflict with his business partners and was no longer apart of his namesake gym. It would now make sense because he recently opened TMPL a new clubby, David Barton-like gym in Hells Kitchen approximately 8 months ago.